Geo-blocking is one of the most annoying aspects of the Internet right now. Geo-blocking occurs when a website or services limits what a user has access to based on geography. Streaming services like Netflix are infamous for using geo-blocking. A lot of publications, TV networks, telecommunication companies, etc. also use geo-blocking. They do this for copyright reasons. Organizations might geo-block content for other reason, too, such as contracts, price variances, and censorship. They typically use a database to identify and trace IP addresses to determine where a user’s location is. Organizations, like Netflix, use encryption to hide content from users based on region, so the movie catalog looks different for someone living in the United States than it does for someone who lives in Spain. Sometimes, the best way to combat encryption is with encryption. VPNs can help you circumvent geo-blocking. Depending on how good your VPN is, you can use it to get around geographic restriction because they can make look your physical location is different than it actually is. The best VPNs use many different servers and lack bandwidth caps. You also want to use a VPN that does not log your online activity. Here are some of the best VPN for streaming geo-blocked content. ExpressVPN could be nominated as the best VPN for Netflix. The server uses more than enough servers to let you easily circumvent geo-blocking. Their servers are all over the world, which also helps. What we like about ExpressVPN is that the connection speeds are fast, so it will not slow down the streaming services. Another thing we like about ExpressVPN is that uses a kill switch, which provides added IP leak protection. This VPN is more expensive than some of the others out there, but we find that the privacy it offers is greater than cheaper alternatives. 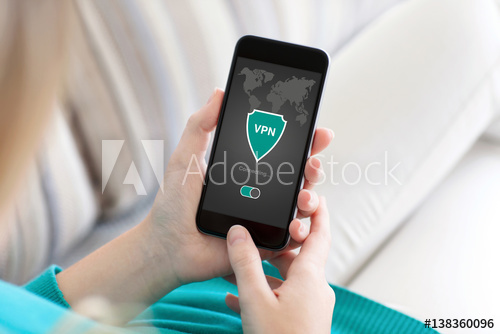 Cybersecurity professionals from VPNpro have reviewed ExpressVPN so we recommend reading it. CyberGhost uses more than a thousand different servers. These servers are located in countries worldwide. This means you can reliably use it to access to geo-blocked content. CyberGhost offers some of the strongest encryption available. Another thing we like about it is that the service does not keep any logs on its customers. CyberGhost is a little cheaper than ExpressVPN, so it is a good alternative if you are on a budget. The service also comes with a two-month guarantee. Another great option is NordVPN, which is one of the most well-established VPNs around. Like CyberGhost, NordVPN does not record their customers’ Internet activity. NordVPN also offers excellent privacy. Our favorite thing about NordVPN is how fast the connection is. It also provides many different servers in many different locations. Another thing we like about this service is that it comes with helpful tutorials. So if you are new to the world of VPNs, this is one of the easiest services to figure out how to use. NordVPN is around the same price as ExpressVPN, but if you commit to a longer subscription, it ends up being cheaper. SaferVPN is another service you can use to find geo-blocked content. SaferVPN comes with a lot of great features, including unlimited bandwidth and 24/7 customer support. As with the others, SaferVPN has a ton of different servers in various locations around the world. SaferVPN is around the same price as NordVPN. VyprVPN is another one of the best VPNs for Netflix. What we like about VyprVPN is that it offers a good balance between speed and security. The service uses more than 700 servers in 70 different geographic areas. VyprVPN uses various firewalls that make it extremely secure, but they also do a little bit of logging. This makes them less private than the other options. This one has a free trial, so you can try it risk-free. There are also some VPN services you are better off avoiding. OkVPN, EasyVPN, SuperVPN, Betternet, and CrossVpn are all known to have issues with viruses and malware. There are also a lot of VPNs that will request you to give them sensitive information. If this ever happens, use a different VPN service. You never want to give out confidential data. Most VPNs that has a lot of servers that are spread out, while still offering a good balance of privacy, security, and speed will work well as a way to circumvent geo-blocking. However, our favorite is ExpressVPN. It offers fast downloads, high-security, and excellent privacy. This is, perhaps, the easiest way to access geographically-restricted streaming content. Plus, the service is compatible with Netflix. NordVPN, SaferVPN, and Cyberghost are also great alternatives. It also depends on how much you want to spend. Sometimes, you have to pay more for quality.